Better care, better outcomes and lower costs are better for everyone. Now ReedGroup can help you get there. ReedGroup's MDGuidelines is the industry’s most trusted solution for impacting evidence-based care across entire populations — safely returning individuals to active living quickly and helping organizations thrive. 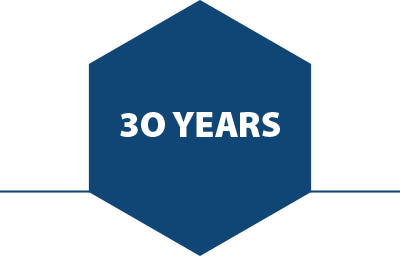 For more than 30 years, we’ve been building, adapting and innovating to provide the highest quality, most dependable clinical decision support in the industry. 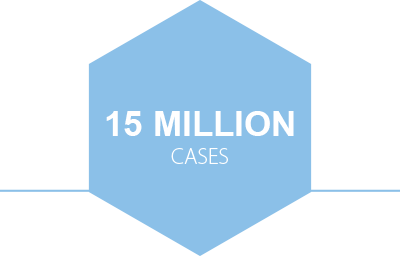 With a collection of more than fifteen million cases, MDGuidelines offers an unmatched depth and breadth of data to support robust analytics that advance insights into consistency and quality of care and inform areas of improvement. 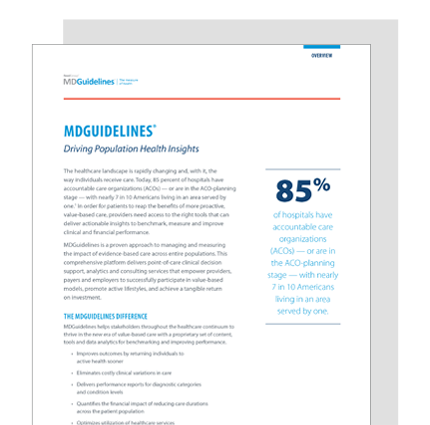 MDGuidelines delivers intelligent point-of-care clinical decision support, physiological duration tables, analytics and consulting services that empower providers, insurers and employers to successfully improve outcomes, promote active lifestyles and achieve tangible ROI. What actually goes into making the gold standard in evidence-based practice guidelines? From in-depth review processes to robust clinical research, MDGuidelines offers the industry’s most trusted guidelines. Watch our quick, animated video to learn how we make guidelines you can trust. Learn about ReedGroup's MDGuidelines' newly expanded capabilities, including EMR integration and analytics. See what our current clients have to say about using MDGuidelines. The healthcare landscape is rapidly changing and, with it, the way individuals receive care. 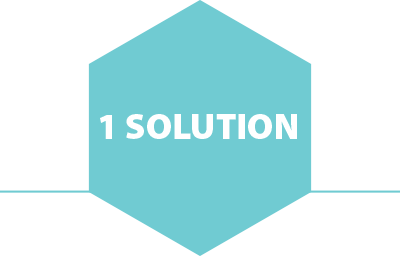 To succeed, everyone across the continuum of care must work together to achieve the Triple Aim: better outcomes, lower costs and a more positive patient experience. ReedGroup's MDGuidelines integrates evidence-based guidelines, physiological duration tables and clinical analytics to help all stakeholders drive better outcomes together. 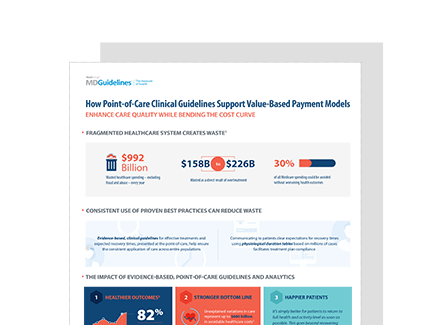 Download our white paper to learn more about how evidence-based guidelines, physiological duration tables and analytics drive success for providers, employers, insurers and patients. MDGuidelines' Duration Views enables case managers and clinicians to estimate recovery timeframes more accurately than ever before. Featuring a new, robust predictive model that leverages millions of claims and a proprietary machine learning algorithm, Duration Views generates more precise, personalized duration estimates. The new Duration Views tool is included with every MDGuidelines subscription. 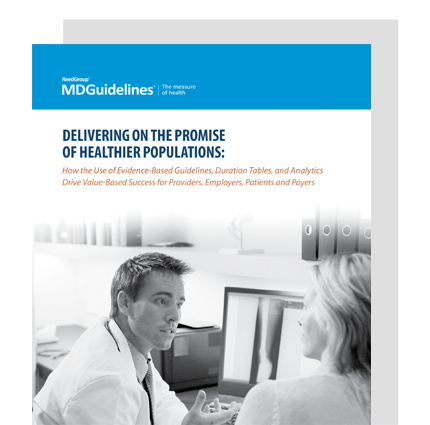 Learn more about MDGuidelines’ evidence-based tools and protocols. With its foundations in medical evidence, MDGuidelines is far more defensible than anecdotal medicine that all too often guides treatment decision and may cause damage to patients. MDGuidelines is useful and we value its non-biased, objective nature and scientifically backed information. CASE STUDY: Learn about Kaiser Permanente's experience with MDGuidelines. Ready to see MDGuidelines in action? Fill out the form below to discover how MDGuidelines can make a positive impact on your organization's performance.